We often use the terms street or road interchangeably, however, there is a sense that a street has houses, shops and other buildings on it whereas a road goes from one place to another. Often a road, even though it is meant for travel from one town to another, has houses and shops etc on it. This compromise, although on the face of it cheap, has a cost in terms quality of life for the people living and working along side it and to those drivers wanting to travel unhindered from one place to another. Some states recognized this problem decades ago and defined what a street was and what a road was and built them accordingly – the Netherlands and Denmark are examples. England has not followed this path – except in the case of the Special Road Act of 1949 which allowed, for the first time, a road to be built that was protected from development alongside it. Surrey, our local highway authority, could use available laws to categorize a street and a road and plan for them accordingly. Over time the road network could be entirely separated from the street network. In Weybridge all the non-classified highways could be categorized as streets. These would be where people live. Their speeds limit would normally be 20mph. Parking would be allowed anywhere unless there was a concern regarding obstruction. Streets would largely, if not comprehensively, be cul-de-sacs; in other words there would only be one entrance on to a road. This would stop rat-running. In Weybridge we do not have any roads functioning purely as part of the highway network because all of our present roads have been built on. 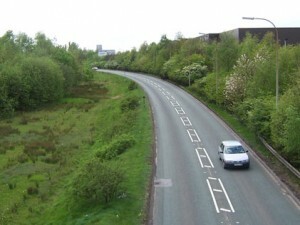 However, we do have a number of highways that act as part of the road network. These are Oatlands Drive from Walton, Queens Road from Hersham, Brooklands Road from Byfleet and Balfour Road from Addlestone. 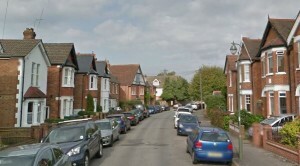 Within Weybridge itself are: Heath Road; Hanger Hill; and, St Georges Avenue. Roads, as part of the highway network, would have the national speed limit of 60mph but in Weybridge they would all be 30 or 40mph roads. Ideally all roads would be clearways – no stopping (including loading or unloading) – but given that most of our roads are already developed there are to many locations where loading would have to be permitted for the moment. In that case the maximum that could reasonably be enforce would be no parking at all times.